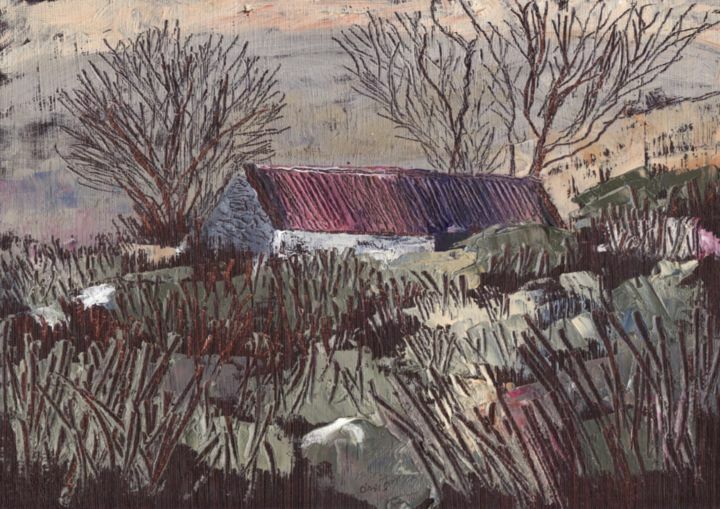 'Near Sheila's House in the Black Valley' is an oil on paper that I painted in May 2015 during a holiday break in the beautiful Black Valley near the Gap of Dunloe in Kerry just up from the church and hostel. This ruin is near Sheila and Margaret's place where we stayed and it is so remote and quiet that all you hear is the stream, the birds and the sheep. Great memories. The painting is framed in an old ochre coloured wooden frame.